The summer of controversy over the refusal of MIAA A Conference football schools to play league rival St. Frances may be over, with the issuance on Friday of a memo by the league office, or it may just be heating up, depending on your perspective. The status of the 2018 season has been under a cloud since May when Mount St. Joseph and Calvert Hall, expressing safety concerns, declared they would not play St. Frances in 2018. In the weeks that followed, amidst charges of racism and a very public debate, the remaining schools in the conference – Archbishop Spalding, Gilman and McDonogh – also announced their intentions not to play St. Frances this fall. Subsequently, St. Frances decided to pursue a schedule of national opponents, but refused to officially pull out of the conference, demanding to be declared champions by default. On Friday, that demand was granted with the leagues’ formal declaration. The league further declared that there would be no playoffs or championship game in the league in 2018 and that no official standings will be kept for those teams competing in the A Conference in 2018. 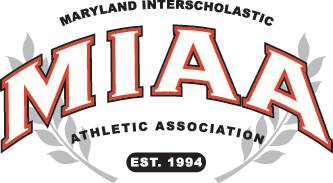 When the original forfeits were announced, the MIAA initially told teams that they could not schedule other opponents on the dates in which they were originally scheduled to face St. Frances. That has changed according to the memo. The memo also stated that the MIAA will continue to discuss and review its rules “specific to recruitment, transfers, and eligibility.” Further, the league’s JV schedule will take place as originally setup, including St. Frances. The memo, which was sent to each school playing football in the MIAA A Conference, including St. Frances. Several league coaches have privately expressed displeasure with the ruling and the decision not to allow the remaining teams to compete for the title, absent St. Frances. Further, critics point out that the ruling does nothing to prevent a similar situation from occurring for the 2019 season. Dove, however, told Varsity Sports Network, that St. Frances has already stated its intention to play a national schedule in 2019. The controversy gained national attention on Sunday when the situation was the subject of a profile by ESPN’s E:60. Click the link below to read the MIAA’s entire memo.